Chroma ATE has introduced its new Chroma 58173-V Laser Diode Test System, providing a total solution for VCSEL production lines from wafer to final package. The system is being unveiled this week at SPIE Photonics West in San Francisco, California. Jan. 24, 2012 - PRLog -- Chroma ATE, a world leading supplier of electronic test, measurement, and manufacturing equipment, has unveiled its new Chroma 58173-V Laser Diode Test System at SPIE Photonics West in San Francisco, CA this week. The Chroma 58173-V Laser Diode test system provides a total solution for VCSEL production lines from wafer to final package and is accurate enough to be used in research & development and QA environments for device characterization and validation. 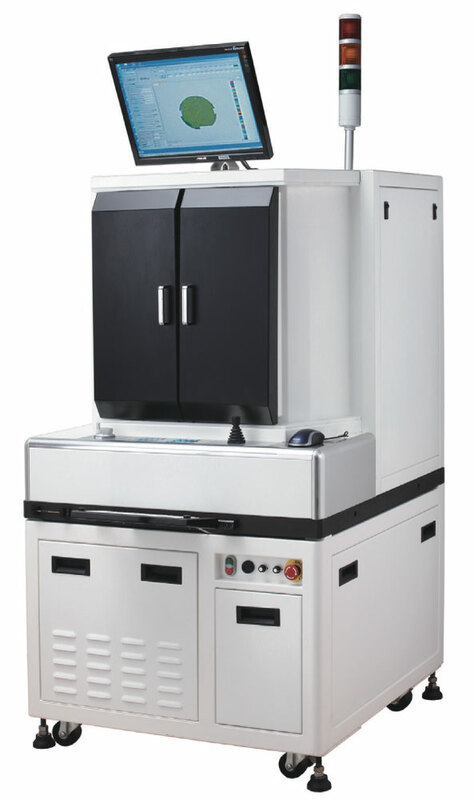 Key features of the system include fine resolution CCD scanner with precision wafer mapping, high-speed automated prober, a temperature controlled chuck, and a wide spectral range for both power and wavelength measurement. The Chroma 58173-V Laser Diode test system is compatible with wafer, die, chips and numerous package types including TO-Can and LCC. The system’s highly compact design is a result of Chroma’s history of research and engineering experience with semiconductor and LED solutions. It offers precision testing on a stable platform with intuitive functionality & operation. Solution flexibility allows for adaptation to differing laser diode applications. Chroma 58173-V system is suitable for wide range of wavelengths from visible to long wavelength (500~1600 nm) by selecting the respective optical module & software settings. Using an integrated sphere along with solid test methodology, the system gathers the necessary data from the VCSEL under test including LIV sweeps, threshold current, spectrum characteristics & defect curve. A thermal chuck & packaged device holder allow for wafer, die, or chip testing in various temperature conditions and yields correlation between wafer & final package performance. The Chroma 58173-V provides an ultra-clean current source by taking advantage of Chroma's 52400 series 4-quardrant PXI Source Measurement Unit (SMU). This SMU offers 7 current force/measured ranges (200 mA max) with low noise & high accuracy to protect the VCSEL or other surface emitting laser diode. High slew-rate driver provides μs pulse to CW for various test applications. The Chroma 58173-V Laser Diode Test System is available for order directly from Chroma ATE, Inc. by visiting their website, http://www.chromaus.com, or calling 1-800-478-2026 (1-949-421-0355).